MediaMine > What's Happening > Happy Birthday, Paul McCartney! They say it’s your birthday. Happy birthday to ya, Sir Paul McCartney! 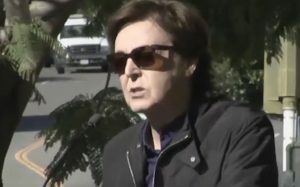 As “The cute Beatle” turns 74 he’s on the verge of releasing his new four-CD box set Pure McCartney and circling the globe with his live One on One tour. The MediaMine library includes media from Macca’s official Hollywood Walk of Fame Star ceremony on February 9, 2012. See the whole collection at MediaMineLicensing.com. And download the FREE Official Hollywood Walk of Fame App here to play trivia and see photos and videos from the iconic Hollywood Walk of Fame ceremonies.